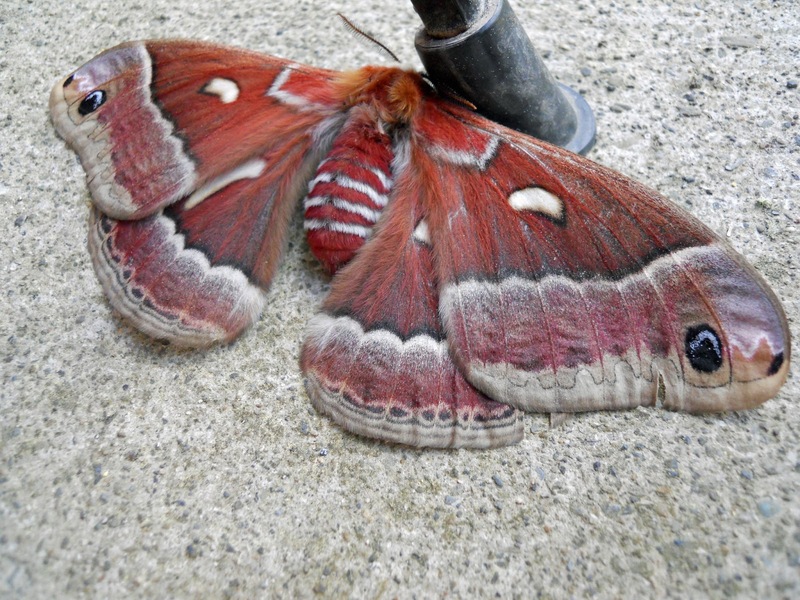 It was resting on the back porch of the house, the largest and most vivid moth I have ever seen. I was curious about this fascinating creature and wondered why it was there in my life at that particular moment. What message it was bringing? I ran to get the camera to take photos of it before it flew away. 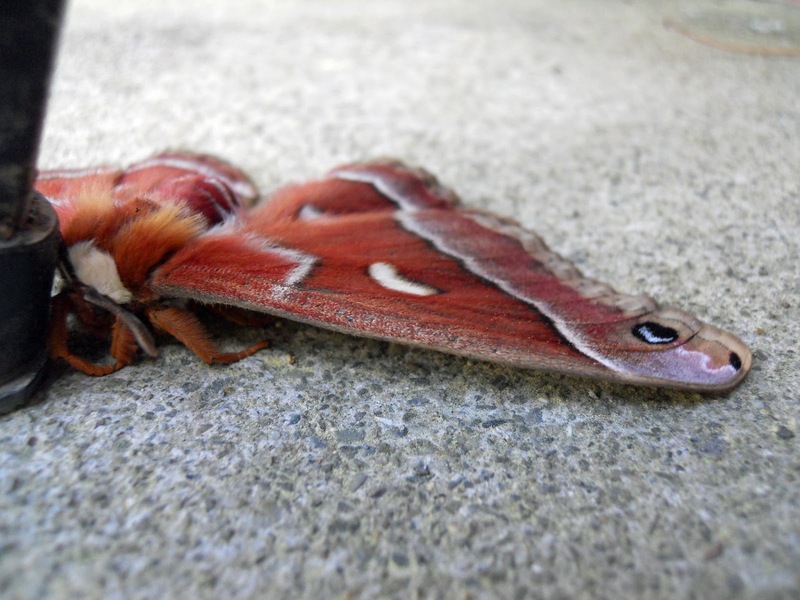 Internet research revealed that it was a Cecropia, or Robin Moth, a specimen of the largest moth in North America. I believe it was a female, judging by the size of the abdomen and the antennae. In ancient Greek mythology the goddess Psyche was represented by a moth, the symbol of soul or spirit. Moths are also symbols of sensitivity and intuition. They are guided by the moon, for the night is their realm. Like their more flamboyant butterfly cousins moths are identified with transformation and metamorphosis (meta is Greek, “change beyond,” morph is “shape”, and osis is “state, process, condition)” from a caterpillar in its cocoon into a winged, more refined creature. To me, the story of the Cecropia is both joyful and heartbreaking. Their short life spans have a single purpose, to breed. To this end they don’t eat, as these moths have neither mouths nor digestive systems. The male, attracted to the female’s pheromones will fly as far as seven miles to get to his mate. When he finds her, they spend one day together from early morning until the evening. After the mating is complete and the female lays her eggs, both moths fly away to die within seven to ten days. The cycle of life is complete. Why had this Psyche moth stopped to rest at my doorstep? Was she merely resting? Perhaps she was exuding her sweet fragrance to attract her mate, or she already laid her eggs and had embarked on death’s journey. I don’t fully understand the significance of her appearance; maybe her presence at that moment was a reminder to embrace the cycle of life and to give me courage as I move forward on my own journey on this earth. Whatever her message, to find this exotic creature in my own back yard is a miracle, and that is enough for me.